MOSCOW, February 2. /TASS/. President Vladimir Putin has announced the start of works to develop new weapons in Russia due to similar actions of the US, particularly to begin developing a land-based hypersonic missile with intermediate range. 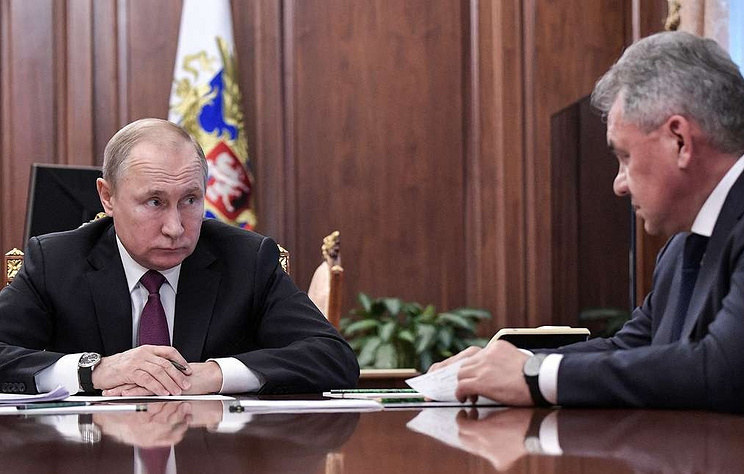 "I agree with the Defense Ministry’s proposals to start the work on ‘landing’ Kalibr missiles and developing a new area to create a land-based hypersonic missile with intermediate range," Putin noted. According to Shoigu, apart from R&D works on production of missiles of intermediate and shorter range, Russia has witnessed real breaches of the provisions of the Intermediate-Range Nuclear Forces Treaty (INF Treaty) by the US for some time already. "In other words, the United States has started production of those missiles," he said.